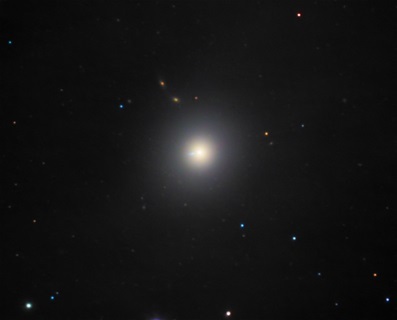 Close-up color picture of the Galaxy M87. Shown here with the high energy jet from the black hole. Total exposure time 4.2 hours. Hi and welcome to my astro homepage, which have one purpose only, to show and share with you my best astro pictures mainly taken from Copenhagen, Denmark. Copyright, please note that all pictures are copyrighted to Niels V. Christensen, if not otherwise stated. Any content on this website must not be reproduced without authors permission. 15. Aug-2018, a Comet HOWTO doc. 7 -> 8 Jan-2018 at Brorfelde, IC443, a Lum/Ha BW picture. Total exposure time: 2x19x300sec. Added a IC443 Tone-Mapped Ha and Lum version as the second picture link. Same night at Brorfelde. NGC 1333, a Lum picture. Total exposure time: 39x300sec. M76 subs/frames taken during two nights, 21-22 Sep-2017 and in the moon light 9-10 Oct-2017. It is composed as a LUM-Ha-OIII master layer combined with color layers, RHa, GOIII and BOIII. 7. Ock-2017. M27, a Lum-Ha/OIII bi-color picture. Atik Horizon beta camera, a 16" SCT F6.2 scope, Baader 36mm filters used to make a Lum,Ha, and OIII bi-color picture of M27. Total exposure ~2.3 hours. Portable equipment, 2017. Mount: TTS-160 Panther. Scope: TV NP127is F5.2. ZWO asi1600MM camera. Baader L, R,G,B, Ha, OIII and SII 36 mm filters. 26. Aug-2017, decided to add 7x2min Lum exposures (portable equipment) + 37x2min exposures (old subs via WO FLT-110, Canon60Da) to the shown Cocoon Nebula picture below, making it a ~11 hours expoused picture! 18-19 June-2017. The first M27 2017 picture. It is a Lum mixed with Ha info. 20->21 May-2017. Color data, Ha, R, G and B added. WO FLT-110/Atik 460 ex mono R,G,B exposure = 3x20x180sec. 16" SCT/ZWO asi1600mm cool R,G,B exposure = 3x30x120sec. Ha exposure = 12x300sec. Came out observing 19->20 May-2017. A couple of Lum pictures that covers this event: Supernova SN 2017eaw and NGC 6946. Here I used the best 6% frames of a 20GB SER movie of the Moon. The cropped picture was taken 8 -> 9 May-2017 and the picture size is 100%. NGC 4631 whale galaxy taken 30 April/1 May 2017. A Lum picture. Exposure: 19x180sec. Taken with 16" SCT and ZWO asi1600mm camera. Copyright, Niels V. Christensen, 2019.